I personally did not care for the Unfold Poker, but would you be willing to try Short Deck! Similar Threads for: PokerStars Kills Off Unpopular Unfold Poker, Could Short Deck Be on Tap? I think if they do present another poker option they should offer the lowest stakes of 1c/2 cent. 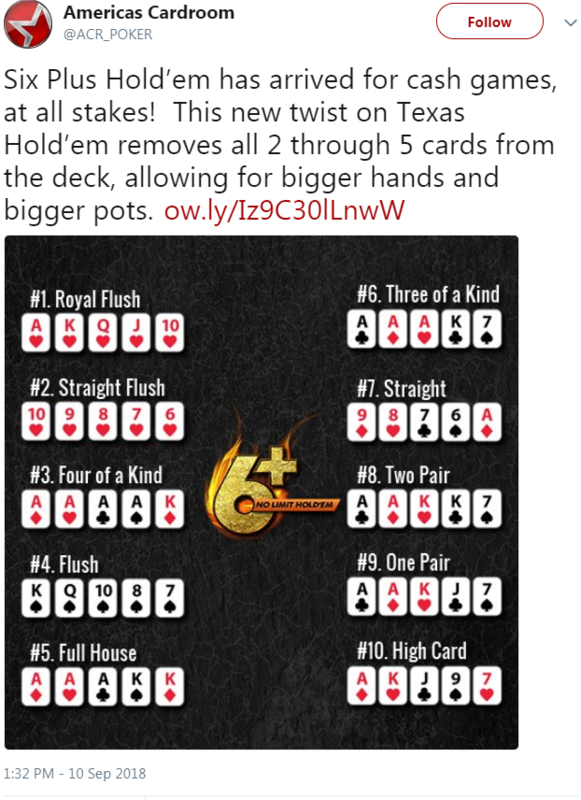 If they had done so with unfold I would have tried it because they did have a challenge available of winning 40 hands for a cash prize. When I saw that lowest buy in was 3.60 I never bothered playing. With a new game many players would only want to play for play money or the lowest possible stakes until they are more comfortable with the game. re: Poker & PokerStars Kills Off Unpopular Unfold Poker, Could Short Deck Be on Tap? I tried out the unfold, it was dumb .... it wasnt even worth unfolding as you then played for an unfold pot which wouldnt cover the cost to unfold if nobody else unfolded lol ..... and there was no further action for the unfolded players. Couldnt see how it would have lasted any amount of time, think i stuck around like 10 min and had enough. I'm sure some variation will come out that catches on. I only tried it briefly on the play money tables. I didnt like it at all and the unfold pot didnt seem even worth the trouble most of the time. Its definately a variation that I will not miss. As for short-deck poker, it sounds quite interesting. Not sure if I will be playing it often, as I am still learning the normal no-limit hold'em, but I would like to try my luck sometime. They had a shortdeck game on the wsop.com play money app, except the deck was Nines to Aces and the hand rankings remained the same as normal. Tons of action and loads of fun, but getting a set or two pair was almost worthless, I understand the need to change the hand rankings. Thank god, I don't play on PS as I live in Texas but I feel like "unfold" poker is the equivalent of "pay to win" and the mid 2000's introduction of "perks" in first person shooter video games. Nothing but a gimick that only poor players find appealing. And after seeing Tom Dwan speak highly about short deck poker, I admit my interest is sparked. Thanks for that, Jeff! Looks like 'Short Deck' poker has sparked quite a bit of interest. Hope Stars does take a look at this. A regular flush would of also beat your full house in short-deck. Yes you are right. I did not know it. But we did not know this even five years ago when we played this hand. Then nobody knew about poker with a short deck. For me, I would not have any problems, I do not see any problems in trying the short deck. I played unfold'em enough times to complete the daily challenges and despite being in the black it was not something I looked forward to playing. I would really like to see any of the new variations include a Bad Beat jackpot which would entice me to put some effort into learning the game...whatever it would be. Actually i had a decent winrate playing unfold just to complete the challange. i played super nitty preflop and managed to not blind away by winning enough unfold pots. and there where enough fish who payed off my premiums. it just didnt work with a table full of nits and i think they can easy be exploited by open wider pre and just ignore the unfold pot. i think i would even continue playing if it was possible to multitable but the unfold time bank is just to short. I already played and I honestly didn’t really like it. I tried it but didn’t really enjoy the game glad they got rid of it. Personally I do not like when they take new variants of poker, such as Unflod, I prefer to continue playing holdem. I stick with the traditional poker.